Every year since 1963, the U.S. Small Business Administration (SBA) has celebrated small businesses and their contributions in the United States with National Small Business Week. 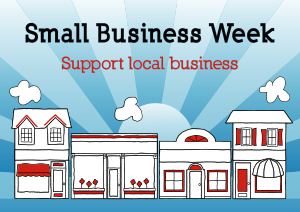 National Small Business Week 2016 is May 1-6, with the theme “Dream Big, Start Small.” As The Voice of Small Business™, FreedomVoice would like to acknowledge the difference that small businesses make across the nation. 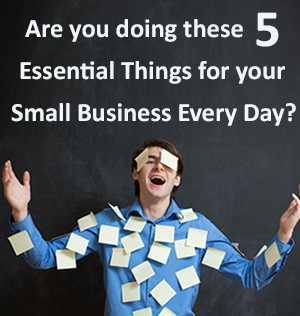 Are you doing these 5 Essential Things for your Small Business Every Day? As The Voice of Small Business™, we think it's important to stay up to date on good business strategies. Unfortunately, we can’t say there is one tried-and-true technique. That’s why there’s over two million results for business books on Amazon. 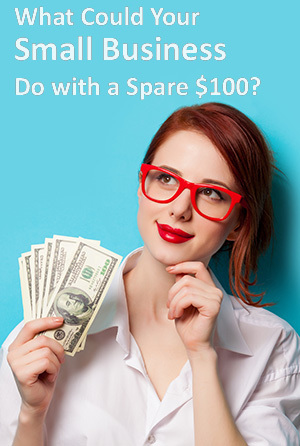 What Could Your Small Business do with a Spare $100? $100 doesn’t seem like a lot of cash these days, but you’d be surprised at what you could do for your small business with a spare hundy. We’ve found some cost-effective solutions in four different areas that can always use work (in businesses big and small). So grab that C-note and get ready to use it for some cool stuff to improve your small business. Running a small business is a lot of work – we know that! But sometimes, what’s even more work is dealing with the weird questions and put downs you get in response to, “I own my own business.” Your friends and family might mean well, but of course, saying those types of things can still be hurtful. And even if it’s not a mean comment, hearing the same thing over and over from clients or loved ones can leave you at a loss for words for something good to say. Nobody really likes doing taxes (unless you’re an accountant), and taxes can be especially stressful if you’re a small business (unless you run a small accounting firm). 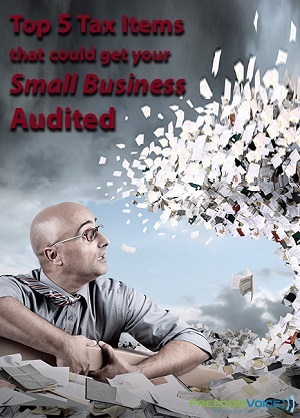 With a small business you want to write off as much as possible, but you obviously don’t want to get audited. So how can you balance between the optimum write off amount and the non-audit safety zone? 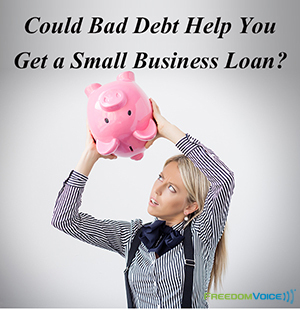 Could Bad Debt Help You Get a Small Business Loan? 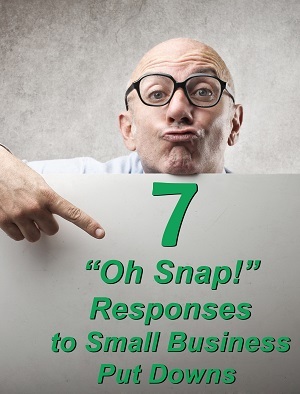 If you’re like any small business owner or entrepreneur, you’re probably pretty impatient to bring in more cash flow. But the problem with earning more is that it takes money to make money… and what happens if you don’t have the working capital to get started? Well, a small business loan could be in order. It may be hard to remember, but Kanye West wasn’t always a household name. Although he first started producing music in the 90s, Kanye struggled to become signed as a rapper, and didn’t start to achieve fame until his first album came out in 2004. While Kanye is considered to be VERY controversial, we think there are a few things he could teach us about the small business world. 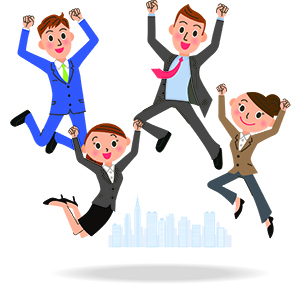 Leap Year 2016: What Could You Do for Your Small Business with One Extra Day? Monday, February 29 is leap day, a quirky extra day that is squeezed into February every four years in order to keep our calendar operating smoothly. It may seem like a useless day, but without a leap day, the calendar would be off by 5 hours, 48 minutes, and 45 seconds each year. And after 100 years, the seasons would all be off by 25 days! So Leap Day serves an important purpose. Here at FreedomVoice we are so excited to announce the launch of our mobile app. 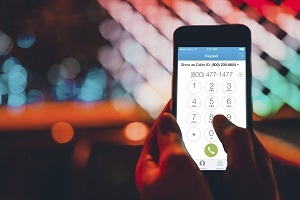 It’s designed to help you get even more use out of your FreedomVoice business number(s)! When we created the FreedomVoice mobile app, we listened to what our customers said they wanted – and what they didn’t want – and worked to address the pain points we all have encountered. As we enjoy President’s Day this year, it’s hard not to focus on the 2016 presidential campaign, and the very wide variety of candidates in the running this year. 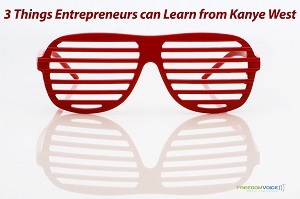 But did you know that many previous U.S. presidents started out as entrepreneurs? 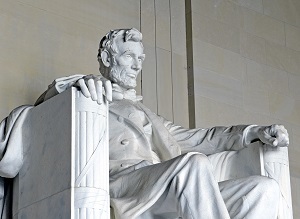 As the Voice of Small Business™, FreedomVoice wanted to celebrate President’s Day by looking back at our U.S.